Good Saturday my Friends. 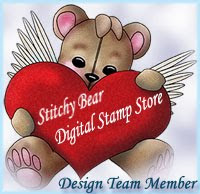 it's Freebie Day at Sparkle and Glitter Blog. Isn't she lovely??? Our EDT made some samples for you to look. So hop over HERE and pick your image for FREE. Oh yes, don't forget to say THANKS to Rick St. Dennis for being so nice to you. Image was colored with Distress inks on Watercolor Paper. Some of the Dies and sentiment i used from Heartfelt Creations. so i think my Flower Pot card just prefect for my Summer Faerie. Thank you very much for stopping by, and your lovely comments.